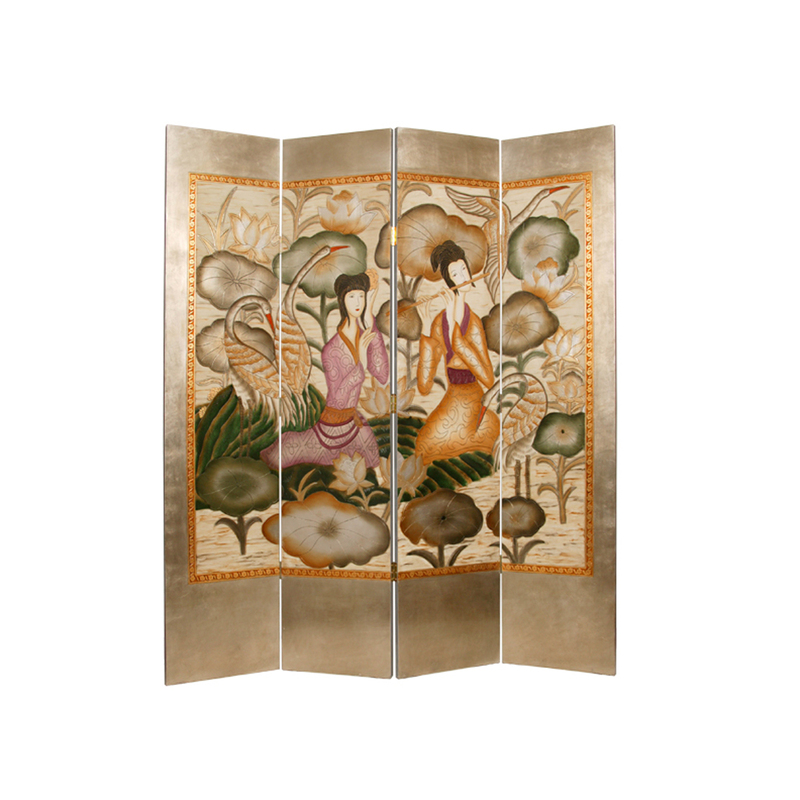 The painted Harmony Garden Screen has detailed hand painted and hand carved artwork of women playing musical instruments in an Asian motif. The border of the screen is painted in silver and is finished on the front only. The back has a solid wood silver panel.